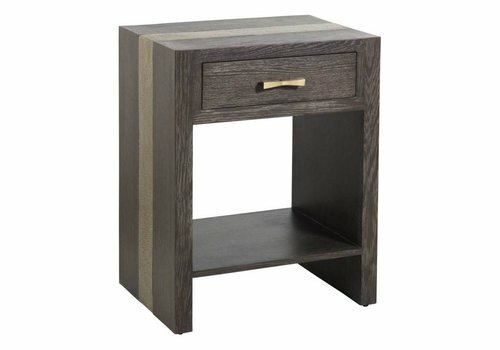 The Galloway nightstand radiates mid-century inspired design. Dark gray cerused oak creates a timeless mood while the clear acrylic and stainless gold accents deliver modern appeal. A rescued French side table inspired the distressed beauty of this petit three-drawer chest. 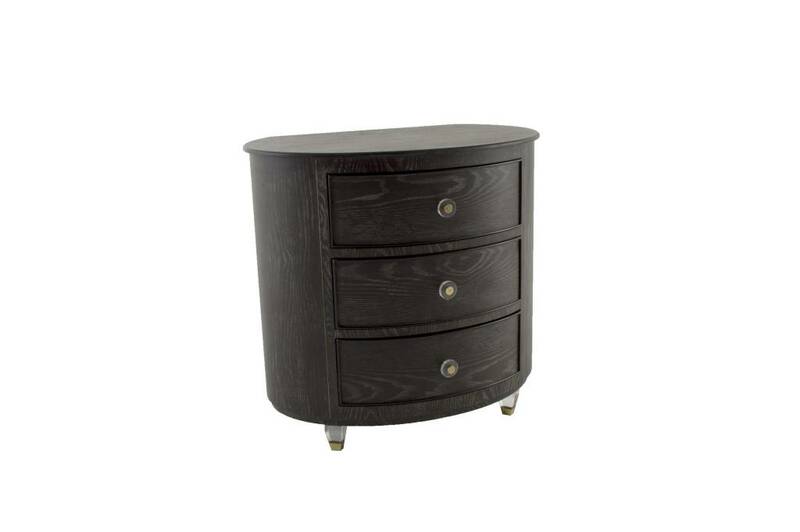 Painted burlap front drawers provide storage while adding style and elegance. 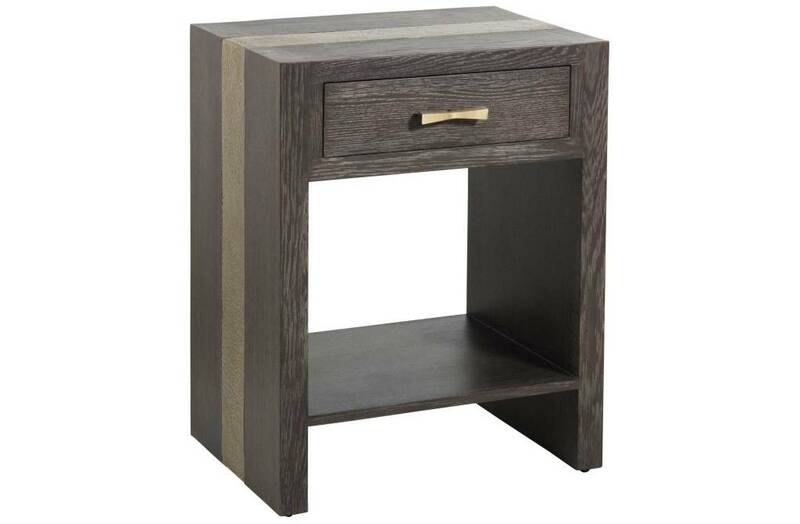 Place the bedside table in your master suite for a softening accent. 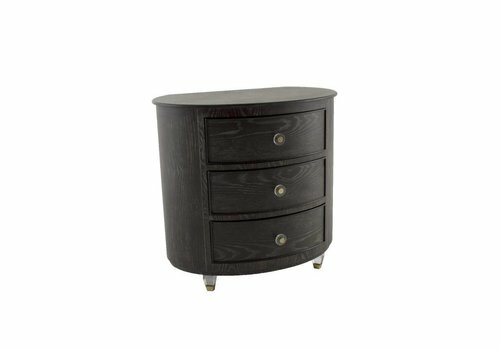 This curved-front chest is simple in style and features drawers ascending in size. We finished the drawer fronts with fabric to add an extra dimension of detail and texture. 32 inches tall. 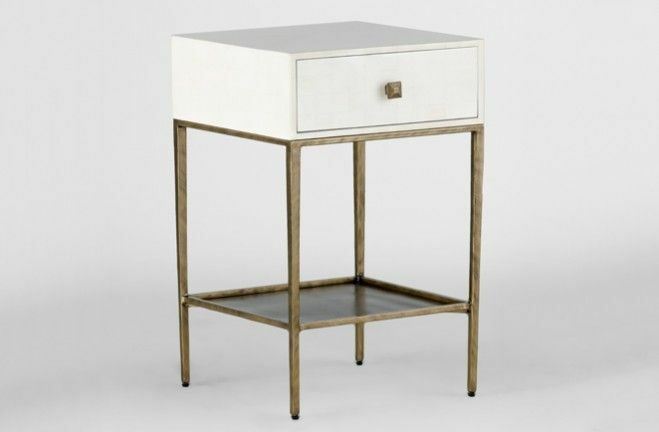 Offering a shelf and drawer for storage, the bold waterfall silhouette of the Eli Nightstand is accentuated by an inlay of hammered brass, mimicked in its custom hammered bowtie drawer pull.